The Limo is a classy popular choice for small to mid size Bachelorette Party Group transportation services. Affordable limousine options available starting at 8 passengers up to 18 passengers. Dance, drink and enjoy the open space with all the ladies in any of the Party Buses when booking transportation. For small intimate Bachelorette Party groups, fit up to 3 passengers for low hourly rates or transfer rates from home to event location. The Mercedes Sprinter Van is an inexpensive popular option shuttling between 10-14 passengers to and from your Bachelorette Party event locations and venues. Shuttle Buses have low hourly rates and can come in handy for mid to large size Bachelorette Party groups. 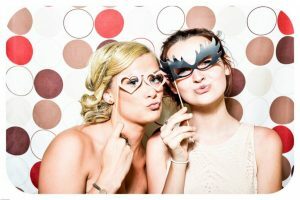 Charter all your guests to and from your Bachelorette Party venues. Charter buses accommodate 30 passengers up to 56 passengers. Enjoy a private collection of classes reserved for the wild party girl or for the discreet bachelorette. You will have a fun, unique experience you will remember for the rest of your life. Get in a nice calm and relaxing Spa Day before the Bachelorette Party really begins. With discounts and special pricing, there is a package for every party size. A favorite for Bachelorette Parties, take any of these popular wine tour routes and enjoy fine wine and food with our wide choices of transportation options. For the major foodies, get a taste of the eclectic food palet Dallas has to offer with any of these great locations and Food Tours. Book a bungalow to get ready or to have a place to end the night will all the girlfriends. Concierge service with any sedans, SUV, Limo or Bus. Enjoy any of the fun and unique bars and pubs around Dallas for your next Bachelorette Party. We offer Dallas hourly services with any vehicle so you can hop in and go at anytime.